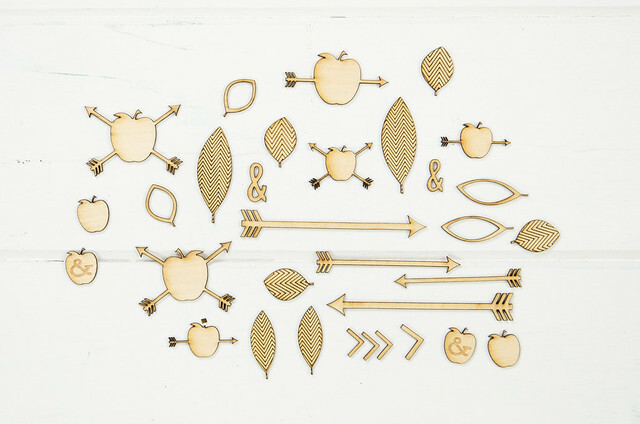 Star & Bee is happy to continue to work with Citrus Twist to provide laser cut wood veneer embellishments for their scrapbooking kits. For the March 2014 release, owner Trina Craig designed a set of slide frames- a shape that's been a very popular cut lately!- with nested sets of hearts and stars inside them, along with an adorable little mason jar. You can see the entire March release here on the Citrus Twist blog. 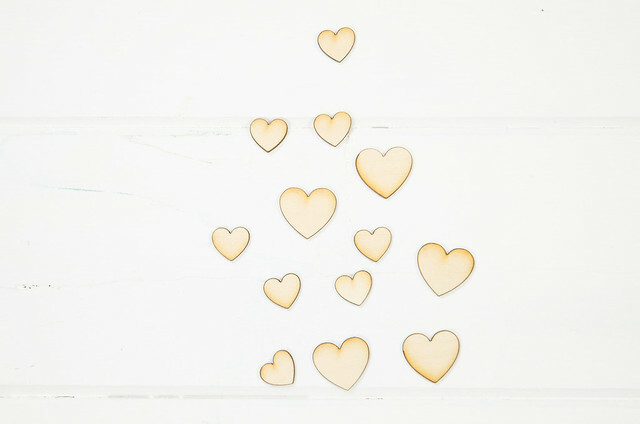 Cutting new orders has been keeping us busy here at Star & Bee, and we're also working behind the scenes to bring new materials including cork and colored acrylic online! We'll have more information on that in the near future. Cocoa Daisy designed a set of wood frames and stars for their February 2104 scrapbooking kits, including some etching on a few of the stars. 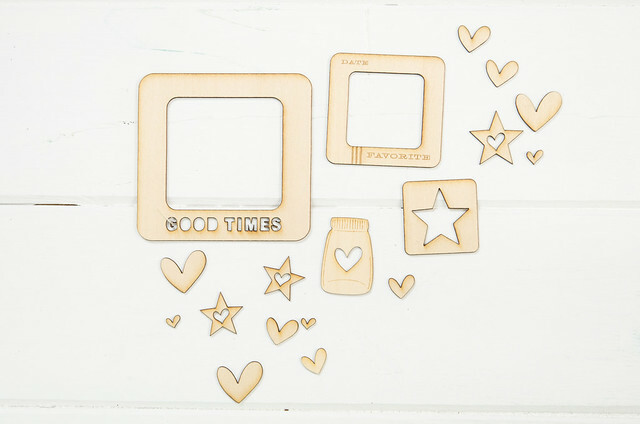 To use as much of the wood as possible the stars were nested inside of one of the frames, and even the negative space cutout was an adorable addition to the kit! The other frames were also filled with shapes that will be used in later kits- we'll have photos of those pieces on the Star & Bee blog as the kits are released! 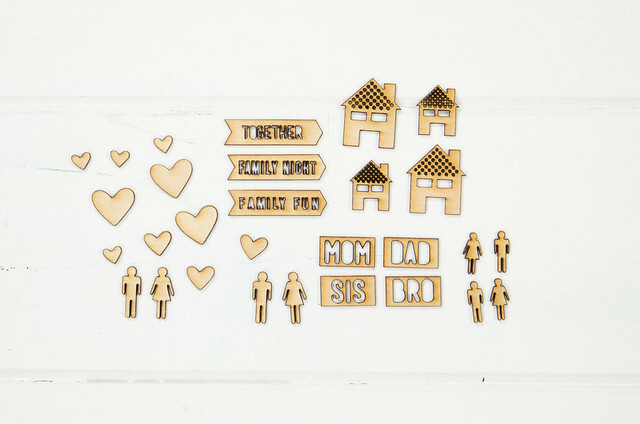 This order was from way back in December, and these little wood pieces, designed by Cocoa Daisy for their scrapbooking kit, are a great example of small, intricate cuts that we wanted to share! 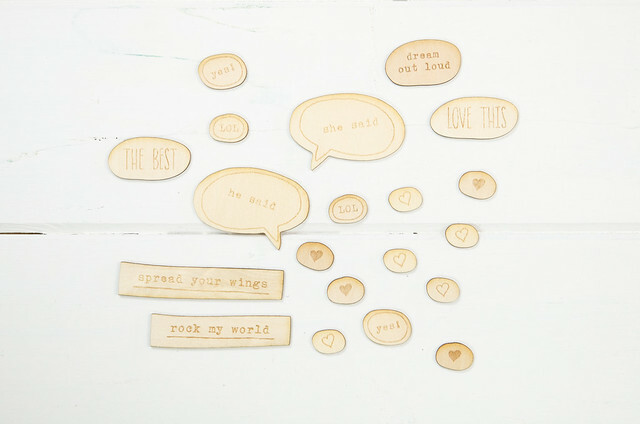 Here at Star and Bee we're excited to be working with Elle's Studio again this month to supply wood cuts as an add-on to the April 2014 kit. 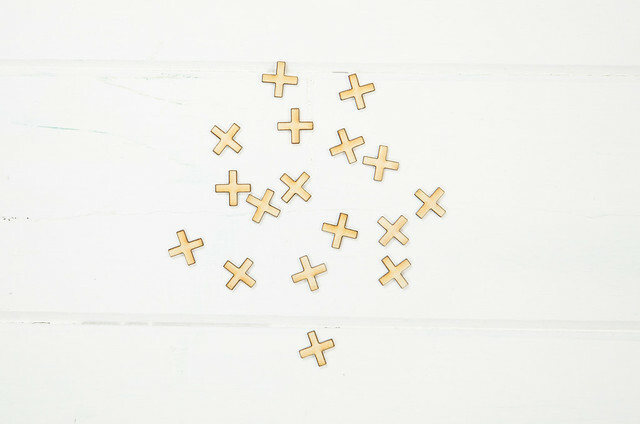 You'll find these designs and all her other available wood veneers (also produced by us!) here in Elle's shop. 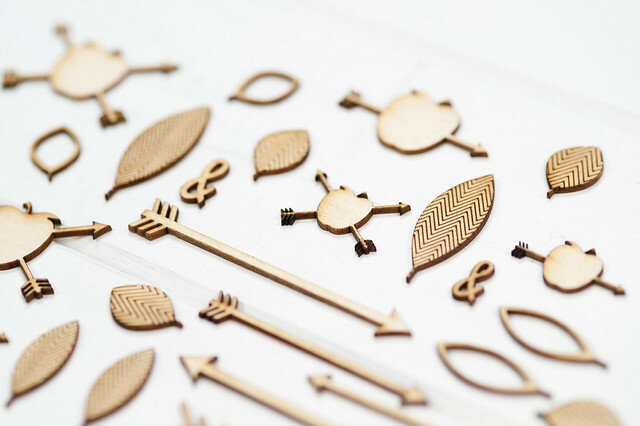 Citrus Twist Kits owner Trina Craig designed these adorable engraved wood pieces for the April 2014 kits that were just revealed today. You can find the current kit here in the Citrus Twist shop. 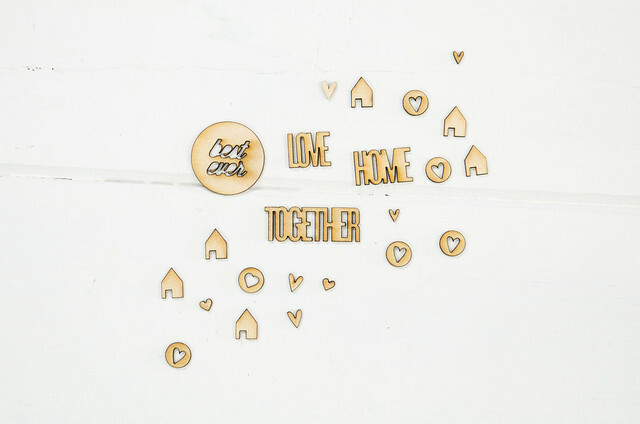 Our photo catch-up continues today with a few more past orders from our customers, including these laser cut wood shapes that were included in the February and March 2014 kits by Jenni Bowlin. Jenni designed a set of chunky hearts for February and plus signs for March. You'll find these and other kits by Jenni at the JBS Mercantile. 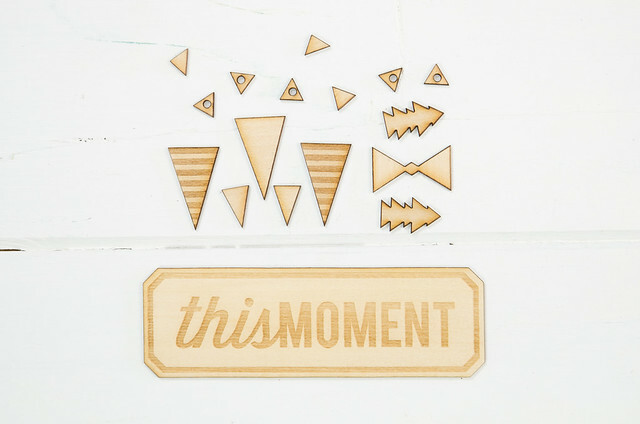 Last fall I had the privilege of working with Kristen from Lily Bee Design on wood veneer pieces for her wholesale releases. 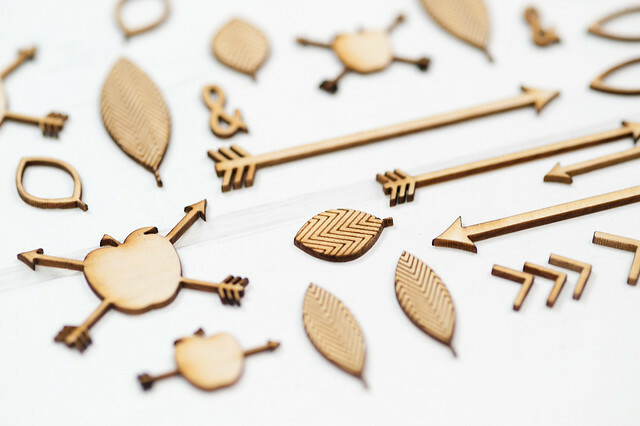 Sadly, Lily Bee has since shut its doors, but I wanted to post these designs anyway since they're great examples of detail cutting and engraving. 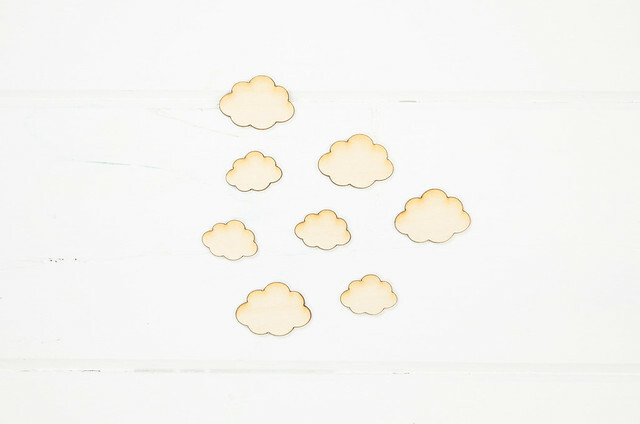 You'll find Star & Bee wood cuts in the April 2014 kit from Jenni Bowlin, who sent over these adorable cloud designs for us to laser cut. You can see the entire kit at the JBS Mercantile. 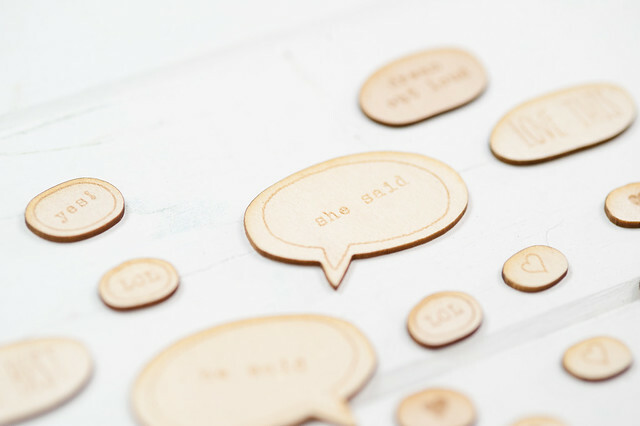 We've been busy cutting away at orders here, leaving the blog a bit dormant in the meantime. 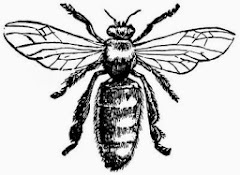 That means we've got quite a backlog of designs to share over the next couple of weeks! I'll start things off with the latest Cocoa Daisy wood cuts in their March kits- Grey Street and the coordinating Day In The Life kit. 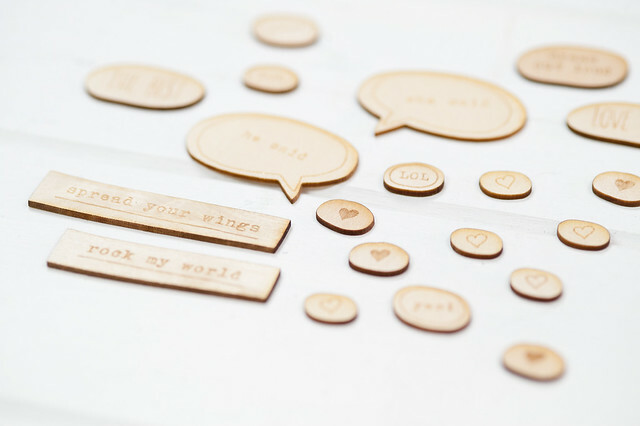 As always, the designs were provided by the customer and laser cut by Star and Bee.